Victoria (Laia Costa) is ready to call it a night. Out at a Berlin nightclub, dancing herself into happy oblivion, she’s on her way home to get some sleep before having to open a neighborhood café in a handful of hours when she runs into charming local Sonne (Frederick Lau) and his rambunctious cadre of friends. 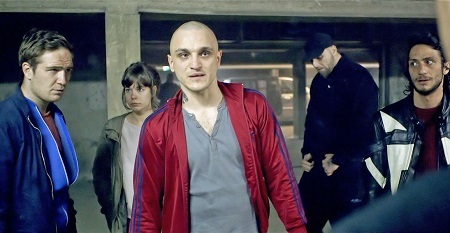 Giving into temptation, she follows him to an apartment complex rooftop for a couple of beers, learning more about Fuss (Max Mauff), Blinker (Burak Yigit) and the fresh out of prison Boxer (Franz Rogowski) in the process. But it is Sonne who she shares an instant connection with, the young expat from Madrid starting to believe there’s a spark of intense mutual feeling developing between the two of them. Things take an unexpected turn when an old debt on Boxer’s part comes abruptly due. The man responsible for protecting him while he was behind bars wants to be paid for his troubles, and he’s got a little job he’s sure the ex-con and his friends would be perfect for. No real planning required, this little early morning jaunt inside an out-of-the-way-bank vault will be easy money, only taking a bit of pluck, moxie and courage on the group’s part to see the job done. 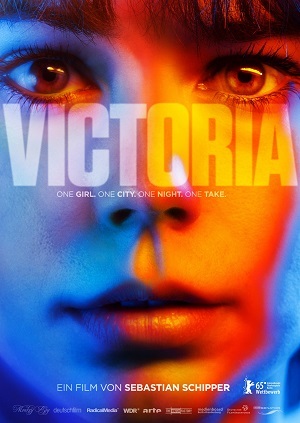 Victoria is a 138-minute, one-take wonder that is far more than its (admittedly sensational) cinematic trick. The film is a descent down a perilous rabbit hole, a dank and dangerous noir excursion that dexterously begins as anything but. Director and co-writer Sebastian Schipper sets up a fun, almost friendly scenario, Sonne and Victoria hitting it off nicely, making a believably intoxicating connection that’s as universal as it is passionate. There’s a great moment between the two of them involving a piano that’s divine, the aura of early romantic entanglement so palpable it permeates throughout the entire theatre. Schipper and his fellow writers set up a morning of youthful abandon, allowing a sense of the impossible being suddenly possible that anyone who has spent a night exploring seemingly forbidden activities in their late teens or early twenties should be able to relate to no questions asked. Of course, engaging in things that are not allowed, or at the very least frowned upon, can have unintended consequences that can last for the rest of one’s life, and if the activities engaged in take an even more perilous turn, they might just end it. One bad decision, even if made with the most heartfelt and innocent of intentions, can change everything, and what starts out as a moonlit fairy tale can become a sundrenched morning nightmare at the flip of a switch. None of this should work. Why does Victoria allow herself to get swept up in Boxer’s dilemma? What is it about his friendship with Sonne that forces all the guys to follow him into danger? Why do they act like idiots the moment things look like they’re about to take a somewhat astonishing turn towards success? What’s interesting is just how organically everything happens over the course of this two-plus hours, the way Schipper slipped me right into his heroine’s shoes to the point her choices shockingly ended up becoming my own positively astonishing. Costa is remarkable, delivering a performance of sublime elasticity that gloriously encompasses everything Victoria is going through. She rides a startling emotional rollercoaster filled with highs, lows and numerous in-betweens. The chemistry she develops with Lau happens with subtle ease, the way she transitions between moments so authentic it gives the proceedings a documentary-like verisimilitude it never could have achieved without her. Costa is mesmerizing, first second to last, the final sight of her dealing as best she can with the aftermath of all she’s experienced a punch to the gut like no other this year. The movie is a trick, of that there is no doubt, Schipper’s storytelling precision coupled with cinematographer Sturla Brandth Grøvlen’s detailed handheld camerawork beyond impressive. 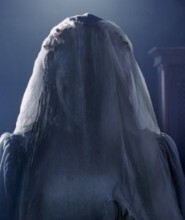 But if it were only this trick, only a visual device utilized to get curious cinemagoers inside the theatre, then the movie would be good, maybe a bit better than that, but not extraordinary, and that is exactly what Victoria is. The script is so tight, so intimately wound, that each turn of the screw becomes increasingly relatable no matter how outlandish or extreme things ultimately become. This is something amazing, watching it a visceral mind-bender that runs the full gamut of the human experience.